Three years ago in my first blog post for Concepts and Practices for a Digital Age (INF530) I wrote that I was “nervous but extremely excited to get my masters started” (Malbon, 2015, para 1). The nerves never really went away, but with each subject I gained more knowledge and my confidence as a modern learner and digital scholar increased. (Dixon, personal communication, July 23, 2017). For the remainder of this post I will reflect on the above three attributes of a modern learner in the context of being a student of INF537. The final assessment for INF537, a case study with a topic of my own choosing, is the culmination of my learning over the last three years. Case study research is an iterative process and drew on the design thinking skills I developed in Designing Spaces for Learning (INF536). The topic of my case study, Open Educational Resources (OER), was inspired by the reading I did for my Digital Scholarship Interpretive Discussion Paper . Through research I wanted to learn more about the potential OER could have for the kindergarten to year 12 (K-12) education sector that I work in. My case study showed that as a teacher librarian I can play a pivotal leadership role in advocating for OER use and can assist teachers to use them. Prior to starting this course I was already dipping my toes into being a social learner by using social media and cultivating a PLN. Early in INF530 I was introduced to Connected Learning and the idea that knowledge and expertise can be derived from various avenues and through supportive networks (Ito et.al., 2013). During Knowledge Networking for Educators (INF532) I reached out to my PLN via Twitter and connected with experts on digital curation and was thrilled when they not only helped me but shared my digital artefact with their own networks. I was very fortunate this session to be involved in an online global collaboration with Rutgers University in the United States of America (USA). Julie Lindsay facilitated asynchronous and synchronous opportunities for us to connect. This collaboration gave me the opportunity to use Flipgrid for the first time to share my thoughts on being a connected educator. I was able to connect with a library hero of mine from the USA, Joyce Valenza. I look forward to participating in more global connections for informal learning and hopefully in the school library too. With my case study I asked for help and feedback, and reciprocated when classmates reached out. I have developed a “feedback toolkit” of Flipgrid, Voicethread, GoogleDocs and Twitter that will be useful in my workplace and for lifelong learning. During this course I have strived to go beyond the required reading and participate in discussion forums, online forums and the unofficial backchannel, Twitter. I have used countless videos sourced from YouTube, Ted and PLN recommendations to help me understand difficult concepts. Using a blend of open resources and Charles Sturt University Library pay-wall resources, I have taken initiative for my learning and taught myself how to use many different web 2.0 tools along the way. I am a digital scholar who uses participatory network technologies in my daily life for entertainment and to learn (Thomas & Brown, 2011). As a teacher librarian I want to model these skills and help educate colleagues and students to become digital scholars. As I said in my first INF537 blog post , I appreciate that throughout this course I have been given numerous opportunities to pursue my own interests and encouraged by my academic mentors to be a digital, open and networked scholar” (Weller, 2011). My masters may be over but the knowledge and skills I have gained will be applied now and into the future. Thomas, D., & Brown, J. S. (2011). Arc-of-life learning A new culture of change. Lexington, Ky: CreateSpace. I was quite nervous when I embarked upon the subject Game Based Learning (INF541) and admitted this in my introductory forum post. My trepidation was due to my limited experience and knowledge of digital games. 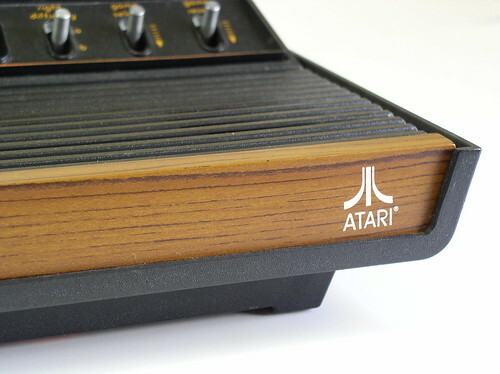 In Blog task 1 I stated that “my personal video game history was rather historical” (Malbon, 2017, para 1) and dated back to the 1980s. Although I could see the potential of integrating GBL, I felt unqualified to do so. I also had some concerns about the challenging aspects of commercial-off-the- shelf (COTS) video games. Most of my views were informed by the mainstream media who are quick to blame video games for violence, obesity, injuries, addiction and aggressive behaviour in young people (Bourgonjon, 2011). I acknowledged that other teachers may share similar views as me in the blog post Social and cultural barriers and suggested strategies to overcome the negativity, barriers and tensions. One of these strategies was professional learning and I feel that I have made a good start by completing INF541 and will continue learning via my professional learning network (PLN) and the curation of my Pearltrees board on GBL. Games have their own literacy (Gee, 2012) and shared culture (Montola, 2012). I did not feel part of the culture of gaming, was unfamiliar with the language and lacked game literacy. In the blog post Learning a new language I wrote of how overwhelmed I was by acronyms and the steep learning curve to understand ludology. I created a glossary so that I could make sense of the module readings that were filled with unfamiliar language. I delved into the participatory spaces, also known as affinity spaces, where players share and create knowledge about their common interest using wikis, forums and videos (Gee, 2012). In the blog post Information behaviour I curated two Pearltrees boards to illustrate the interest driven communities for Minecraft and 80 Days. As an information professional I was impressed by information behaviour that contributed to these sites and could see parallels to information seeking in the library (Adams, 2009). The links of game mechanics, game design characteristics and game infrastructure, motivation and engagement to learning became clearer to me after playing Ingress, Spent, Free Rice and by watching walkthroughs of Minecraft, Firewatch and 80 Days. My novice journey as Agent Kleem9 with the location based multiplayer game (LBMG) Ingress was documented in the blog post Ingress. As I began to understand the mechanics of playing Ingress and received instant feedback on my actions, I became immersed in the virtual world and motivated to play, level up and contribute to the narrative. I could see educational applications of Ingress for senior students in a variety of subject areas but at the same time I was concerned about privacy and safety issues (Hulsey & Reeves, 2014). I discussed these barriers to using games in schools in the forum with Lisa Nash (Nash, 2017). Over the last twelve weeks I have not emerged as a gamer but I have achieved my aims and become more knowledgeable about GBL. I have been exposed to research and opposing viewpoints on the pedagogy of GBL and the link games have to existing educational learning theories. I have experienced the characteristics of games that can potentially make them motivating and engaging. The social-cultural aspect of gaming and the learning that happens outside of the game through affinity spaces is really exciting and as a teacher librarian I can see opportunities for libraries and teaching that I wish to investigate further and implement. Game Over? No way, the game it is just paused so that I can learn more with evidence based research and play. Design is all around us and I use products, services and spaces that have been designed for a purpose. Professional designers such as architects, engineers, artists, fashion designers and interior designers have expert skills that I do not possess. I do not consider myself a naturally creative person but I am willing to try and learn with my hobby of photography. David Kelley says we shouldn’t opt out of creativity but develop creative confidence (Ted, 2012). I have been able to improve my creative confidence with my hobby but could I do this in other areas such as design? It is argued that creativity is a set of thinking skills and anyone who develops and transforms an idea into a new and desirable artefact is a designer (Kuratko, Goldworthy & Hornsby, 2012). To think like a designer an educator needs to learn new skills. The processes and skills of design thinking have been taken up by non-design industries. The terminology around design thinking varies but involves needfinding, brainstorming (or ideating) and prototyping (Siedel & Fixson, 2013). In assessment task one, I applied this process to my own problem space. I identified a digital space within the library that was being under-utilised and looked at new ways it could be used and came up with a prototype on paper. Initially I was concentrating on my own needs rather than those of the learner but in a later blog post I recognised that the outcome would depend on the library users. Empathy is a core capacity for thinking like a designer (Forum post 3.6). According to Brown & Katz (2011) insight can occur when we connect with the people we are observing through empathy. I put my observation skills to the test in assessment task two by spending twenty minutes watching and listening and noticing the activities and design of an Aldi supermarket. I observe behaviour in the library on a different level now. Teachers and school administrators should apply the same observation techniques to gain insights into the needs of their students rather than making assumptions (Forum post 3.6) or maintaining status quo. 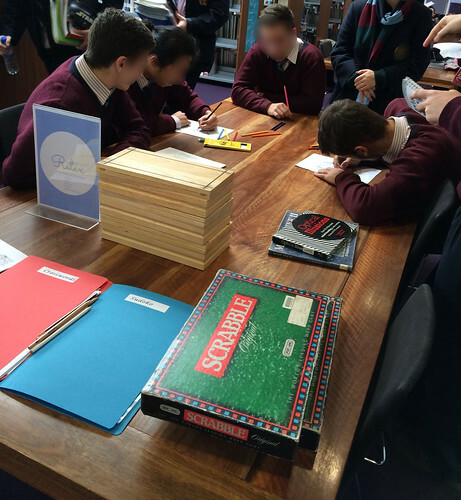 The iterative process of play, display and watch the replay (Kuratko, Goldworthy & Hornsby, 2012) resonated with me, so without the fear of failure I transformed a small space in my senior school library into a lunchtime pop-up zone for games, puzzles and colouring (Forum 1.1). The positive impact of the transformed space also reiterated the importance of the library as a meeting space (Forum post 3.2) where students can gather to socialise and learn in an informal setting away from the traditional classroom. Thornburg’s primordial metaphors (Thornburg, 2007) and McIntosh’s Seven Spaces (McIntosh, 2012) have made me more aware of the inadequacies of certain physical and digital learning spaces for learning and where improvements could be made. Creative industries such as Pixar and Google are informing the design of learning environments with flexibility, community, visibility and proximity (Blog post 17/9). However an innovative space will not necessarily change practice (Forum post 7.1). Teachers may or may not reimagine their teaching and students may appropriate spaces in unexpected ways (Forum 5.2). I floundered with some of the concepts of design, was frustrated that amazing innovations were happening elsewhere and was challenged by the complex nature of the relationships with design, learning and space. I will endeavour to put my learning into practice in a rapidly changing digital environment. Kuratko, D., Goldsworthy, M., & Hornsby, G. (2012). The design-thinking process Innovation acceleration: Transforming organizational thinking (pp. 103-123). Boston: Pearson. Retrieved from https://www.csu.edu.au/division/library/ereserve/pdf/kuratko-d1.pdf. Throughout history people have been both threatened and excited by the adaptation of storytelling to new mediums with the advent of books, radio, television and the internet (Koskimaa, 2007). Rapid changes in technology are impacting on how we consume information, read and tell stories. (Sadokierski, 2013). The literature landscape is in a time of transition and as I explained in my first assessment task, so am I (Warner, 2013). As a teacher librarian it is essential that I am informed and critical of emerging digital trends in storytelling. Digital literature presents literacy and management challenges but it also provides opportunities for participation, interaction and engagement. Literature is no longer confined to the printed page and my long established reading practices are becoming increasingly screen based. In forum post 1.2, I considered my knowledge and understanding of digital narratives to be limited. Once I started researching categories of digital literature by Unsworth (2006) and Lamb (2011), I realised that I had been exposed to more digital literature than I had first thought (Blog post). I was familiar with hypertexts, re-contextualised literary texts and linear ebooks but I was unaware of how storytelling could be amplified by interactive ebooks, apps and transmedia. I started exploring the texts recommended on the INF533 Goodreads group and was amazed by what I discovered. As I explored new forms of storytelling, I became acutely aware of my own weaknesses using the storytelling apps Chopsticks and Midnight Feast. New literacies are required to comprehend and navigate digital literature. Initially I felt lost and didn’t know how to approach the text. 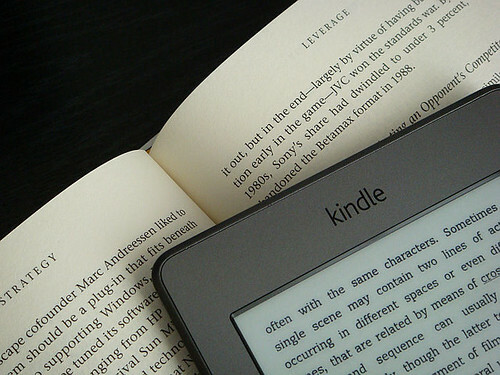 Swiping, zooming, pinching and tapping the screen engage haptic perception and Skains suggests readers that lack exposure to this technology may be resistant to engage with the text (2010). “The emerging role of haptic perception in digital reading” (Roskos, Burnstein, Shang, & Gray, 2014, p.6) is increasing with enhanced ebook apps. However, I was motivated by the quality of the stories and gradually discovered additional multimodal affordances by revisiting the apps and therefore improved my digital reading skills. I was captivated by the interplay of illustrations, images, sound and motion in the interactive graphic novel of The Boat (Blog post). With very few words, meaning was conveyed by engaging aural and visual techniques. There was a synergy between artistic and technical features that is vital for a good quality digital story (Walsh, 2013). New communication technologies have changed the nature of text and additional criteria is required to select and evaluate texts for learning (Yakota & Teale). Texts can be written, spoken or multimodal. “Multimodal texts combine language with other means of communication such as visual images, soundtrack or spoken word” (Walsh, 2013, p. 181). To meet expectations of the Australian Curriculum it is essential that school libraries integrate ebooks into their collections and programmes. (O’Connell, Bales and Mitchell, 2015). As a teacher librarian I need to be informed and bold to meet the challenges of an increasingly digital and multimodal environment that involves Digital Rights Management, licence agreements and emerging formats (Forum post 2.3). The ubiquitous use of mobile devices has increased internet and social media use by teenagers (Lenhart, 2015). Students are using the internet for social, recreational and informational purposes. Out of school, some students are creating, communicating and telling stories using web 2.0 and social media, however there are still students with low technical skills (Malita, 2010). Getting students to create their own digital stories is one way of embedding digital literacy into the curriculum. In preparing my own digital story for assessment four, I questioned whether I had the necessary skills to create a digital story. I was reminded by Alexander (2011) to consider the audience and concentrate on meaning. I soon realised that I could use my existing skills to research, plan and write the story. (Forum post 4.2) My greatest challenge was how to combine text, images and audio to amplify the story and connect with the intended audience. This requires thinking critically about effective combinations (Malita, 2009). The process of creating a digital artefact has given me the confidence to advise others and model digital storytelling. I have experimented with digital storytelling tools and my fellow students have introduced me to even more that I was unaware of (Forum post 4.2). Literacy in today’s learning environment is evolving and requires access to diverse texts. 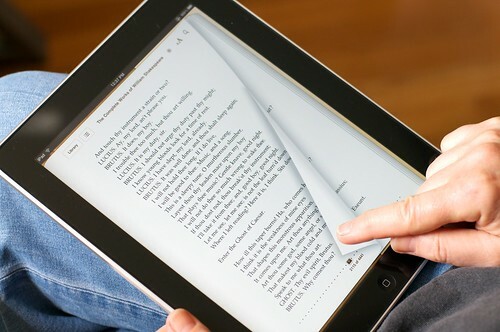 Print and digital texts coexist and provide readers with choice. At the beginning of this subject I felt overwhelmed by the challenges involved with managing digital literature in schools and libraries (Forum post 2.3). I am prepared to confront these challenges and apply my learning in the workplace with the knowledge I have gained, the resources I have discovered and the tools I have been introduced to.